Do we really need to know what Bruce Springsteen thinks about Donald Trump? 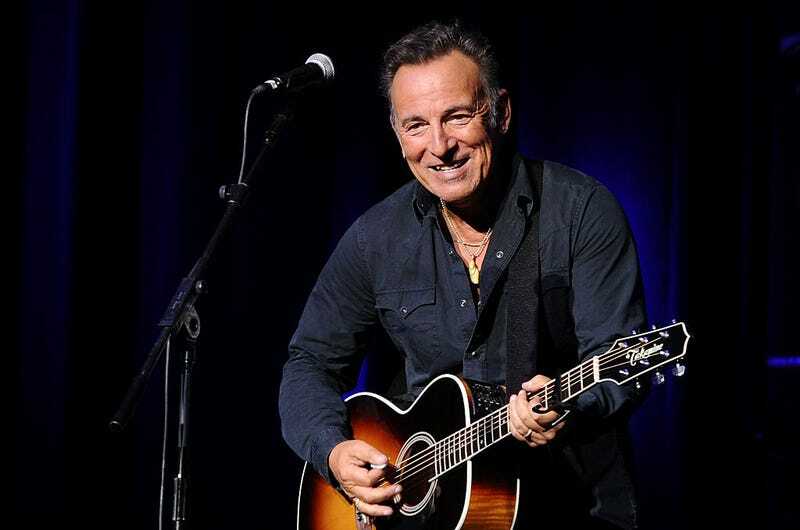 If you’ve heard just about any album from The Boss’s nearly five-decade-long career—whether it’s Born in the USA or Wrecking Ball—then you should have a pretty good sense of how he feels about the creature currently inhabiting the White House. He doesn’t have to spell it out. I never wanted to be just a proselytizer for an ideological point of view. That’s not my job; that’s somebody else’s job. And if you even look back to Woody Guthrie’s material, he didn’t do that. He wrote these very full character pieces that, whether you were there in the Depression or not, they live today. They weren’t hollow, they weren’t one-dimensional; they were these very full character pieces about the times. I still aspire to that. But unlike Taylor Swift, who created a national crisis by keeping her vote in last year’s election private, Springsteen’s given us enough breadcrumbs in his music and in this interview (by praising the work of the New York Times’ Charles Blow, a routine critic of Trump) to know where he’s coming from. As Craig Jenkins pointed out today over at Vulture, some of the best recent political punk records are eschewing specific attacks on the president to capture the panic of living in this moment. We don’t need Bruce—or any younger punk band for that matter—to turn in a Twitter thread protest album.